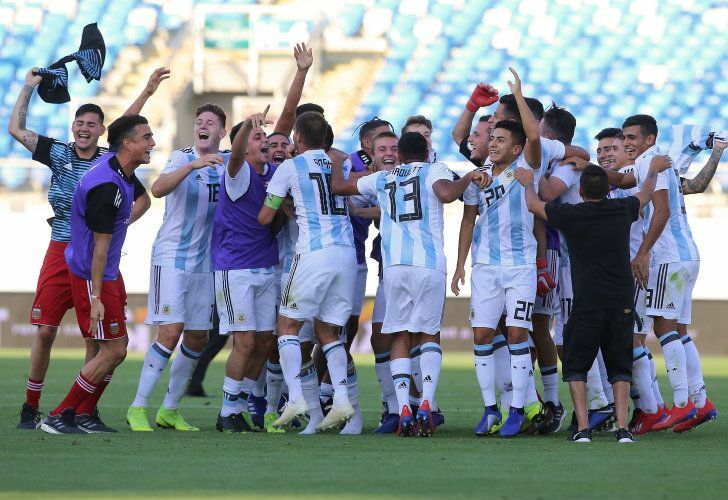 Despite the chaos surrounding them, Argentina’s national under-20 team can win the South American Championship outright for the first time since 2015 – if they can defeat Brazil tomorrow. The odds were stacked against Argentina’s young hopefuls in Chile. First impressions of the national Under-20 team , more over, were overwhelmingly negative. But the side, coached by Fernando Batista, gradually found their way in the South American Championships and, with one game to spare, they sit pretty with qualification to the World Cup safely assured. Just imagine what the likes of Adolfo Gaich, Pedro de la Vega and Aníbal Moreno could achieve with even six months of stable development, though that’s something that can never be taken for granted when it comes to the fractured national team set-up. Batista himself came in to the fray at the very last minute. The brother of Sergio, 1986 World Cup winner, an Olympic Games gold medallist on the bench in 2008 and later a senior coach in an ill-fated spell succeeding Diego Maradona with the Albiceleste, Batista had previously acted as Claudio Ubeda’s assistant in the 2017 U-20 cycle and also earned a positive reputation with his work with the youngsters at Argentinos Juniors. If the coach’s résumé was not in question, the timing of his announcement certainly raised a few eyebrows. He took over in December, just one month before the Championship kicked off in Chile and with Argentina’s provisional squad for the tournament already confirmed. It was clear that, whatever ‘Bocha’s’ qualifications for taking over the age group, he faced a race against time to mould a promising group of youngsters into a functioning team. Argentina’s difficulties quickly became apparent as the action began. The opening fixtures of Group B saw the Albiceleste held to a 1-1 draw against Paraguay and beaten by Ecuador before squeezing through to the final phase with narrow victories over Uruguay and Peru, the latter of which came deep into injury time thanks to a penalty from Maxi Romero. The final phase itself began in similarly underwhelming fashion: beaten again by an industrious, physical yet talented Ecuador team and unconvincing in victory over Colombia, Argentina’s youngsters looked to all intents and purposes a talented group of individual talents with little idea of how to synthesise that raw ability into a collective strength. With games against tournament heavyweights Venezuela and Uruguay looming large before a potential final-day decider with Brazil, Batista’s boys looked far from certain to make the cut. Happily for the Albiceleste, the team clicked into gear in the nick of time. Venezuela have a fearsome reputation at U-20 level, having conserved the core of the team that finished runners-up in the World Cup two years ago; but the Vinotinto were blown away 3-0 thanks to a hat-trick from Gaich. San Lorenzo’s burly number nine perhaps sums up that rapid evolution in Chile: starved of quality possession in the box and nervous when handed chances, he suddenly exploded into action with three goals in just 24 minutes to propel his side up the table. The real heroes, though, were further down the field. Moreno and De la Vega, who has already won rave reviews since making his Lanús début at the tender age of 17 in 2018 – he celebrated his 18th birthday on Thursday – have been at the heart of everything good about this Argentina side. That midfield duo has been the engine of two decisive triumphs, with Moreno appearing to hit a thunderbolt as Uruguay were downed 2-1. Qualification for the World Cup in Poland is now secured, and the Albiceleste can win the South American Championship outright for the first time since 2015 with a win over Brazil tomorrow. 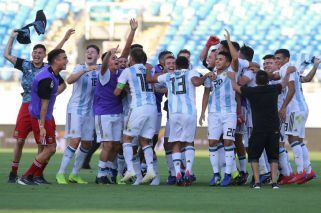 The emergence of this young Argentine side in Chile, having also won the prestigious L’Alcudia tournament in Spain last year under current senior boss Lionel Scaloni, is a boon for a national team which has experienced almost nothing but scandal, criticism and setbacks in recent years. But nobody, from Batista to Scaloni or even the AFA, can afford to rest on their laurels. Too many times in recent years has limited success at youth level failed to translate in lasting achievement, much less in assuring the future of the senior side. 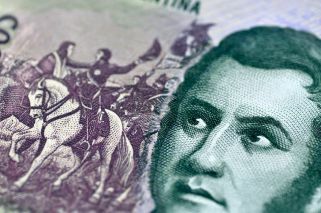 Batista’s appointment itself pointed to the improvisation and lack of planning that, for all the talk of projects and long-term thinking, continues to dominate at every level in the Albiceleste. This first hurdle has been cleared. Now it is down to this wonderfully talented group of players to push on and do Argentina proud in Poland. But the onus is also on everyone involved to make sure yet another generation of promises does not fall by the wayside. Scaloni is making the right noises with his senior side, blooding young talent and overseeing a much-needed renovation in personnel. This is the right course, and only by sticking to it – even if results take an adverse turn – can Argentina hope to build a lasting project that will take them through to Qatar 2022 and beyond.